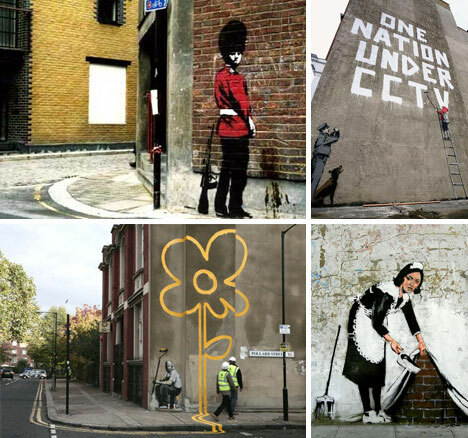 Banksy is well known around the world in no small part due to his massive popularity online. 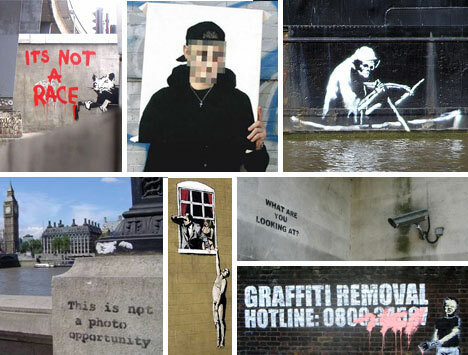 Banksy art has made its way into all kinds of nooks and crannies on the internet but few collections are anything close to comprehensive (and in many cases are not even coherent). Most are difficult to navigate and devoid of context, featuring disparate works alongside one another without explanation. While necessarily incomplete due to the breadth and volume of Banky’s artwork, this collection gathers over 100 essential pieces that tell key stories about his aims, personality and history. Some selections are organized by type – rats, children, police, military and monkeys – while others are sorted by locations – from Glastonbury to Palestine, New Orleans to Disneyland. Also showcased are his art installations in galleries – both sanctioned and unsanctioned – as well as his most expensive and sought-after works ever sold. Click below for larger views, more images and additional information.